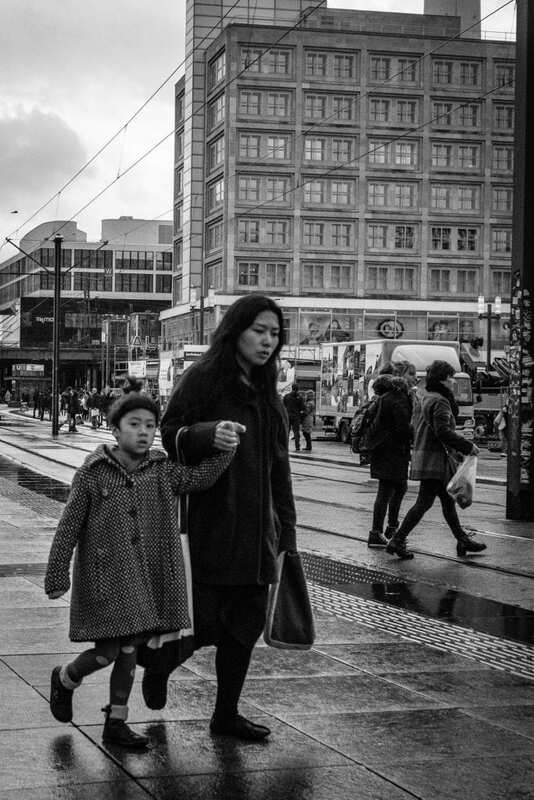 Mother and Daughter in Alexanderplatz, Berlin, Germany | Daily Observations. Mother and Daughter in Alexanderplatz. It was a pouring and rainy day in Berlin. While photography on the street for a street photography workshop in Berlin in November 2017. Rushing by, almost dragging her daughter. It looks like she was forced to walk quicker and follow her. It almost looked like it happened in North-Korea.